EAW017989 ENGLAND (1948). Opencast coal mining to the north of Kidsleypark Farm, Smalley, 1948. This image has been produced from a print. 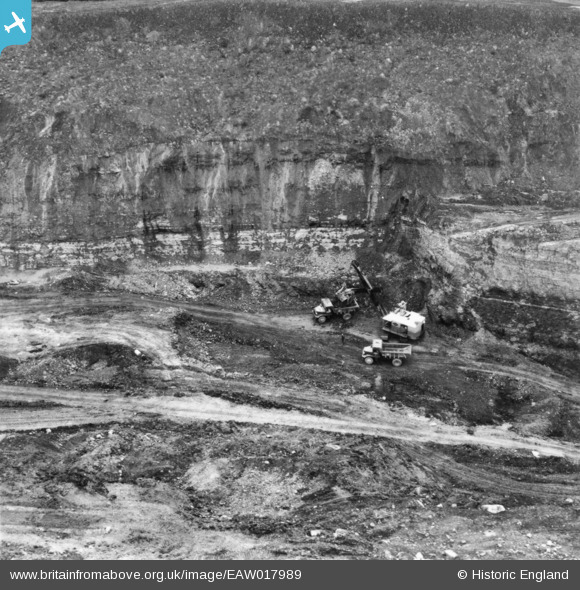 Title [EAW017989] Opencast coal mining to the north of Kidsleypark Farm, Smalley, 1948. This image has been produced from a print. Lima Model 802 Shovel filling a Euclid R-15 Dump Truck as another R-15 awaits his turn.